يقع موتيل Auto Lodge في هاميلتون، ويوفر مكان إقامة عصري مع خدمة الواي فاي المجانية غير المحدودة، تتوفر العديد من خيارات التسوق وتناول الطعام على بعد 10 دقائق بالسيارة من مكان الإقامة. يقع موتيل Auto Lodge على بُعد 800 م من ملعب إف جي إم وايكاتو، وعلى بُعد 8 دقائق بالسيارة من منطقة هاميلتون المركزية للأعمال، ويبعد مطار هاميلتون مسافة 20 دقيقة بالسيارة. تحتوي جميع أماكن الإقامة على تلفزيون إل سي دي 42 بوصة مع أكثر من 50 قناة فضائية وحمام خاص ومطبخ صغير مع مرافق صنع الشاي وتكييف/مضخات حرارية. يوفر الموتيل منطقة كبيرة لوقوف السيارات في الموقع ومرافق غسيل الملابس للضيوف. يرجى إبلاغ Auto Lodge Motel بشكل مسبق بوقت وصولك المتوقع. بإمكانك استخدام حقل الطلبات الخاصة أثناء عملية الحجز أو يمكنك التواصل مع مكان الإقامة مباشرةًً من خلال معلومات التواصل المذكورة في تأكيد الحجز. سيُطلب تأمين ضد الأضرار بقيمة NZD 200 عند الوصول. سيتم تحصيل المبلغ عبر البطاقة الائتمانية. سيتم إعادة المبلغ إليك في غضون 7 أيام بعد المغادرة. سيتم إعادة مبلغ التأمين بشكل كامل عبر البطاقة الائتمانية، وذلك يخضع للتحقق من مكان الإقامة. سيطلب من الضيوف عند تسجيل الوصول إظهار بطاقة هوية تحتوي على صورة شخصية وبطاقة ائتمان. يرجى ملاحظة أن جميع الطلبات الخاصة ستكون رهنًا بالتوافر وقد تستلزم تكاليف إضافية. Close to the City and also to The Base. I have stayed here a few times and each my unit has been exceptionally clean. Pillows are on the hard side. Easy check in/check out on each occassion. Very friendly and helpful staff. Room was extremely comfortable and just what we needed. Great for middle of winter . Arrived on freezing cold evening to our room and found that staff had turned heat pump on, and also the electric blankets on. So welcoming! unit was spotlessly clean and staff very friendly. Our choice now when needing to stay in Hamilton. Outstanding motel! Everything is great! The only concern is payment period. I was charged almost immediately after booking which actually one and half month before check-in date. I'm not sure, that it's agoda's policy or hotel's. The room was modern and clean. Our bed was pre warmed as we arrived very late. Thank you! An Korean family runs this motel, they are very nice people. Rooms are big and super clean. Fully equipped. for a night is ok as it is way too far from the town like 30-40mins walking distance, although can drive over(15mins) but the street is always busy. One good thing is after 6pm there is this free shuttle service that bring you to casino. sky tv 50 channels. unlimited WiFi. comfortable bed. Enjoyed my stay. Very clean and loved the sky channels and unlimited WiFi. Very comfortable bed to sleep on. Will definately stay again for sure. Very polite staff and nice to deal with. Thank you. Great hosts. The bathroom was disgraceful - a four star hotel with a bathroom that you had to stand on a box and get into a dark cubicle with a tap that did not work properly! From the utside this motel looks fairly new, however, our room was right out of the 1960s! Fiting were old and worn, the fridge was noisy nd the cooking facilities old and shabby. 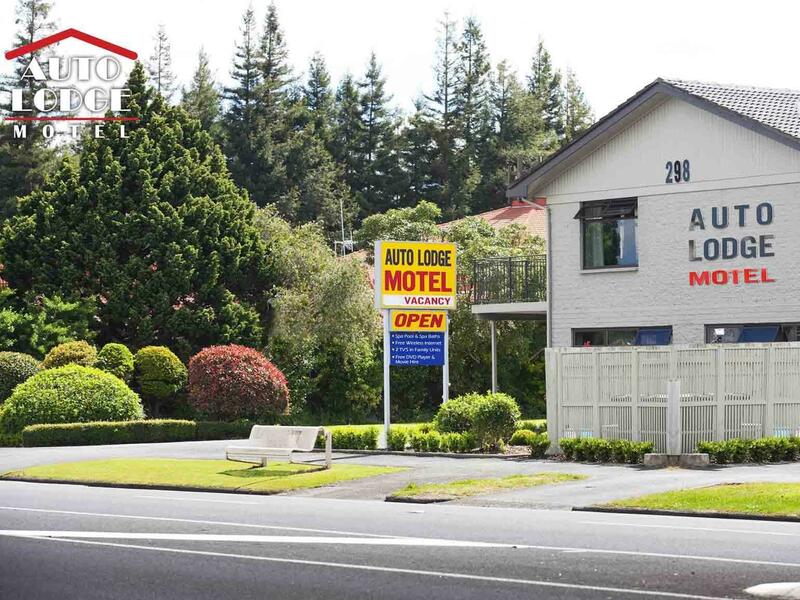 Staff were pleasant and helpful and that to some degree made up for the very average facilities of this motel. Suitable for a one night stop over. Room was clean and comfortable and I woul recommend this to others.